James Armstead, threatened a “Batman” style shooting. 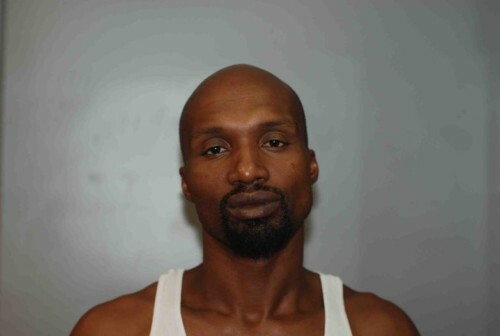 On Friday, August 10, 2012, detectives with the Annapolis Police Department arrested James Armstead, 37, of Glen Burnie with threatening to injure a State official and two counts of phone misuse. These charges stemmed from phone calls made by Armstead to the Anne Arundel County Office of Child Support Enforcement. On August 7, 2012 James Armstead called the Office of Child Support Enforcement located in Annapolis and made threats to kill employees and himself. Armstead referenced doing a “Batman” style shooting, referring to the Aurora, Colorado movie theater shooting. He said he would bring an AK-47 or other military style weapons to the office to accomplish this. An arrest warrant was issued for Armstead and detectives also obtained a search and seizure warrant for his residence in the 400 block of Glen Mar Rd. Members of Anne Arundel County Police Department’s QRT and detectives executed the search warrant without incident. Armstead was taken into custody and was turned over to Annapolis Police Department. Although no weapons were recovered at the home, evidence was recovered which indicated Armstead was making inquiries on how to obtain an AK-47. Armstead is currently being held at the Jennifer Road Detention Center on $60,000 bond.